Home » Recipes » The Looneyspoons Collection: Pie Caramba! The Looneyspoons Collection: Pie Caramba! Ai, ai, ai! It’s a zesty pizza pie! 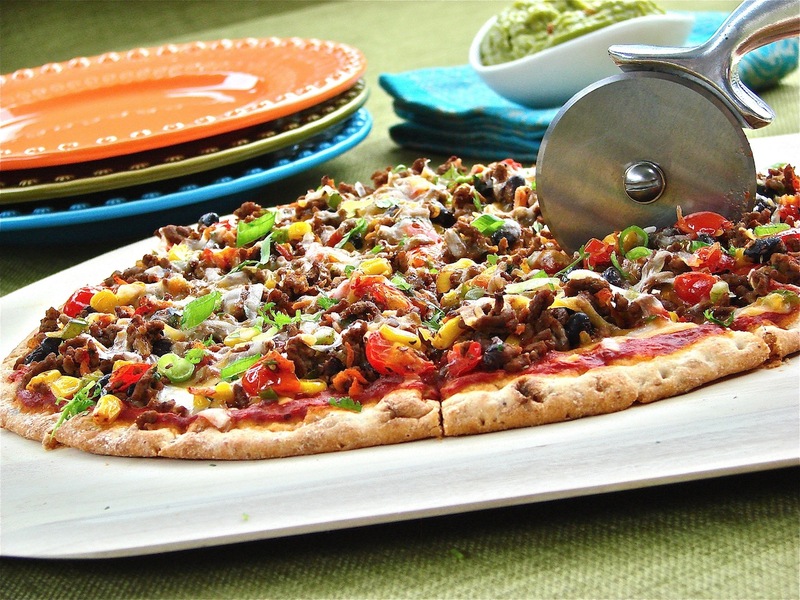 If you want to experience the joy of Mex, say “si” to this uniquely topped pizza that’s bursting with fabulous southwestern flavor. It’s hot, hot, hot! Cook beef, onions and garlic in a large, non-stick skillet until beef is no longer pink. Add tomatoes, carrots, green pepper, corn and beans. Cook and stir for 2 more minutes. Add cilantro, chili powder, cumin, salt and pepper. Cook 1 more minute. Remove from heat. Spread pizza sauce evenly over crust. Top with half the cheese. 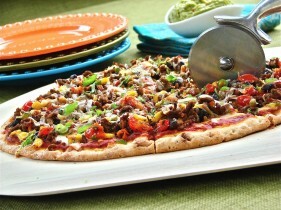 Spoon beef mixture evenly over pizza. Top with remaining cheese, followed by green onions. Place pizza directly on middle oven rack and bake for 8 to 10 minutes, or until cheese is completely melted and crust is lightly browned.